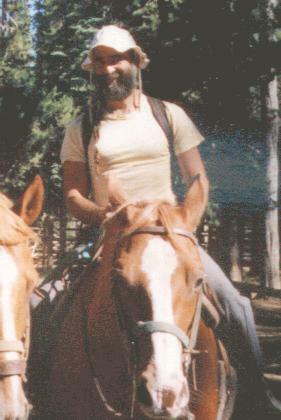 In the Forest Service, we don’t go around on horseback all that often, but every now and again. RB: Has anybody ever tried to seduce you in your Forest Service uniform? Me: Well, my job is what they call a “non-uniform” position. We’re usually out there in just boots and jeans. Me: And an orange logger vest. Me: And — we don’t usually put ’em on — but, hardhats. Me: Ok! Ok! I’ll wear the hardhat! Categories: gay, what's up | Tags: gay, outdoors, travel | Permalink.